It’s not every day that you can literally feel the passion come so easily in a sample packs creation. 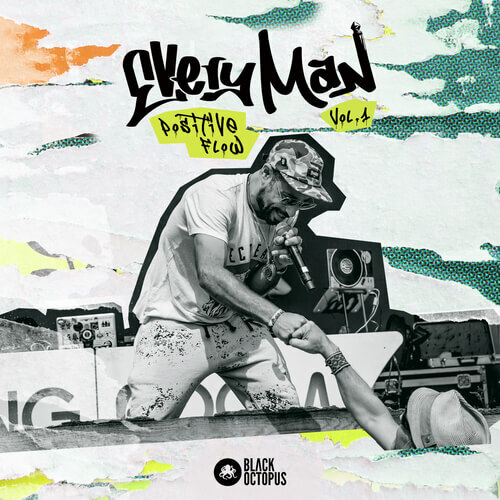 With Positive Flow Vol 1 by EVeryman, it oozes out devotion, adoration and love, for not only the yesteryears of great Funky Hip Hop, but also for great lyrics and mood. EVeryman and Qdup teamed up to bring you one of the Chunkiest, Funkiest and down right ingenius Rap and Hip Hop vocal packs around. It doesn’t even matter the genre! Hip Hop, Breakbeat, DnB, Future Bass, House, you name it! This pack has the vocals and shouts that can take your song from an idea, to a chart topping hit! Its as easy as drag and drop into your song and feel it get the vibe you desire immediately. Inside this heater of a pack is acapellas from full songs (with adlibs, backing, Chorus, Verse, etc), all carefully laid out and selected by both EVeryman and producer Qdup, giving you all the vocal ingredients to make massive Hip Hop infused, genre bending music.